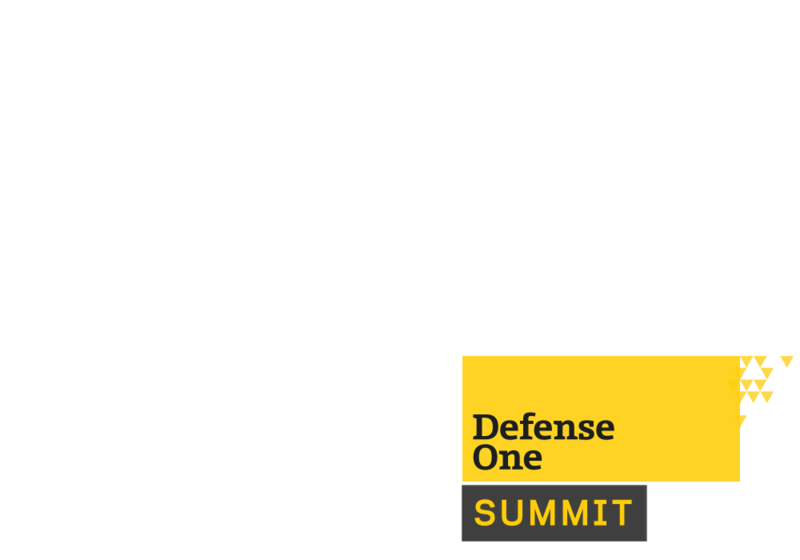 For more information on Defense One Summit 2013, click here. The Defense One Summit is a forum to discuss big ideas, share leadership lessons and hold timely conversations about the issues shaping U.S. defense strategy and global security. This year’s event will gather an elite audience of more than 400 senior military, defense and national security stakeholders to explore the changing “purpose” of the U.S. military in the new global security architecture. Speakers and panelists will look deep into the U.S. military’s role against today’s global threats and challenge the boundaries of America’s global security interest. Active senior military and national security leaders will debate topics such as U.S. Military intervention and use of force, the role of the U.S. Military in the Middle East and Washington’s decisions surrounding American power and Intelligence. What are the boundaries of America’s global security interests, intervention and use of military force? How do shifting threats and frontiers shape Washington’s decisions about American global power and intelligence? How are Pentagon leaders building a strong, agile national security architecture? What is the role of the U.S. in the Middle East? What is the role of conventional force as a response to cyber attacks? A discussion on the advantages, pitfalls and ethical implications of autonomous systems and artificial intelligence in modern warfare. Defense Industry CEO's talk about how defense businesses are evolving for the new era of national security. CEO, Finmeccanica North America and DRS Technologies, Inc. Rethinking the Navy's priorities—and its people—for the age of terrorism and global conflict. How Russia, ISIS and money changes the U.S. defense budget, force structure and role of conventional ground forces. What should the roles and responsibilities of Congress be in the new era of perpetual conflict, borderless terrorism and traditional great power geopolitics? How is the landscape of defense health care changing? How does innovation play a role? What is the DoD doing to address the vast health care needs of their servicemembers? We'll cover these compelling survey findings and discuss best practices with Dr. Tim Lagan, an industrial organizational psychologist who specializes in implementing workforce planning programs within government. A conversation with the chairman about Iraq, today's conflict and how the U.S. military should be used to meet America's national security commitments. A discussion on intelligence, cyber spying and counterterrorism. A discussion about future capabilities and needs, from cyber and information systems to military platforms to the new frontier of biological technologies. Robert Work, Deputy Secretary of Defense, looks at how the U.S. will retain its technological edge in the coming decades. Defense One Summit is an on-the-record event and is open to members of the media who register in advance to cover it. If you are a member of the press, please register here. PwC's Public Sector Practice helps federal agencies solve complex business issues, manage risk and add value through our comprehensive service offerings in financial management; program management; human capital; enterprise effectiveness; governance, risk and compliance; and technology, all of which are delivered seamlessly throughout the world. Our US Government & Public Sector practice combines an understanding of the public sector’s diverse needs, focused on delivering improved public services with private sector leading practices. We respond to your specific issues by bringing together highly skilled professionals across Advisory, Assurance, Tax and Transaction Advisory services. This integrated approach facilitates multidimensional support and flexibility. EY’s heritage is based on providing objective, fact-based insights, and our broad portfolio of services is aimed at driving relevant, tangible results. We believe integration fosters innovation. Unprecedented challenges require support that is connected, responsive and insightful. EY is ready to help you build a better working world. Defense & Intelligence agencies are ever more reliant on data to execute their mission to protect and defend the country. The need to trust data has never been higher. Informatica provides data integration software that inspires trust - empowering the data-centric warfighter with clean, safe, connected data that drives improved mission readiness, better strategic and tactical decisions, deeper insight/discovery and better mission outcomes. Avascent is a leading strategy and management consulting firm serving clients operating in government-driven markets, including aerospace & defense, national security, government IT, health care, and numerous others. Working with corporate leaders and financial investors, Avascent delivers sophisticated, fact-based solutions in the areas of strategic growth, value capture, and mergers and acquisitions support. With deep sector expertise, analytically rigorous consulting methodologies, and a uniquely flexible service model, Avascent provides clients with the insights and advice they need to succeed in dynamic customer environments. Cloudera is revolutionizing data management with the first unified platform for big data, an enterprise data hub built on Apache Hadoop™. Cloudera offers agencies a secure and cost-efficient place to store and analyze all their data, empowering them to derive new insights and correlation while extending the value of existing investments. Finmeccanica is a global aerospace, defense and transportation company with a wide range of products and services ranging from land, air and naval defense systems, advanced electronics, helicopters, airplanes and unmanned air systems, communications, space and transportation products. Finmeccanica North America, headquartered in Arlington Virginia, operates across the United States and Canada through its affiliates: AgustaWestland North America, Alenia Aermacchi North America, AnsaldoBreda Inc., Ansaldo STS USA, DRS Technologies, Selex ES Inc., SELEX Galileo, Inc. and Telespazio North America.